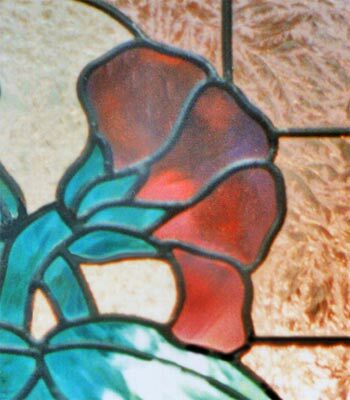 "AUSIE FLOWER" STAINED AND LEADED GLASS WINDOW CUSTOM AT GLASS BY DESIGN. 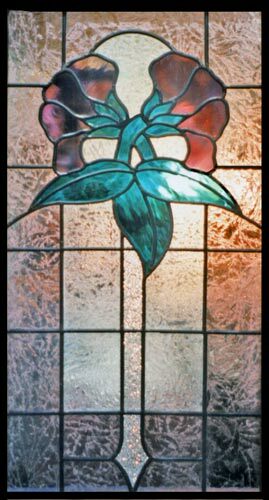 This custom flower window was 22" x 42". The purple flower and leaves were wispy opalescent stained glass. The background was clear gluechip and mauve gluechip glass.